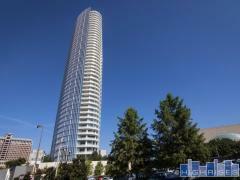 Located in Plano's popular Legacy West area, Windrose Tower is a 24-story luxury high-rise condominium tower. Windrose Tower offers a number of amenities such as valet parking, an amenity deck with an outdoor swimming pool and cabanas, and a state-of-the-art fitness center. The residences feature spacious floor plans, large terraces with fireplaces, and floor to ceiling windows. Have any comments or questions about Windrose Tower at Legacy West? Ask your question and/or share your thoughts about this Building. More info about cost,time of completion and other fees. What is the price for 1 bedroom? Is there a studio plan as well? The units start at $1million and go up from there. Estimated time of completion is end of year 2019. 2 & 3 beds start at $1.7 - $2.3 million for around 2500 sqft. No 1 bedrooms are left. No studio options. 2 & 3 bedroom units get 2 parking spaces.